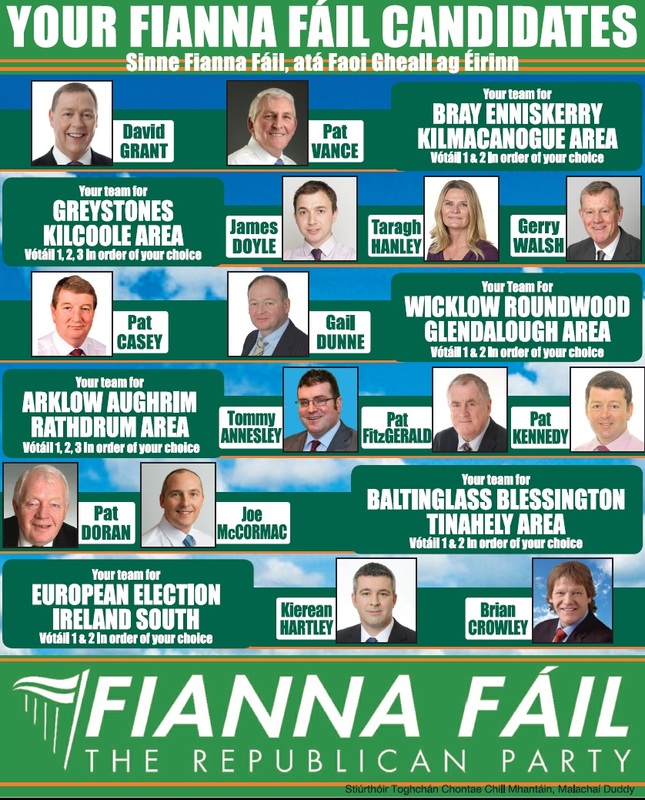 A series of ads for the Fianna Fail Candidates in County Wicklow. Pat Doran and Joe McCormac in Baltinglass. A leaflet from David Grant who is running for Fianna Fail in Bray for a seat on Wicklow County Council. A flyer from Seay Ledwidge who is running as an ‘Independant’ in Bray for a seat on Wicklow County Council. A leaflet from Catherine Hannon Kennedy who is running as an Independent in Bray for a seat on Wicklow County Council. She previously ran for the SWP in 2002 and 2004 and ran for Sinn Fein in 2009. 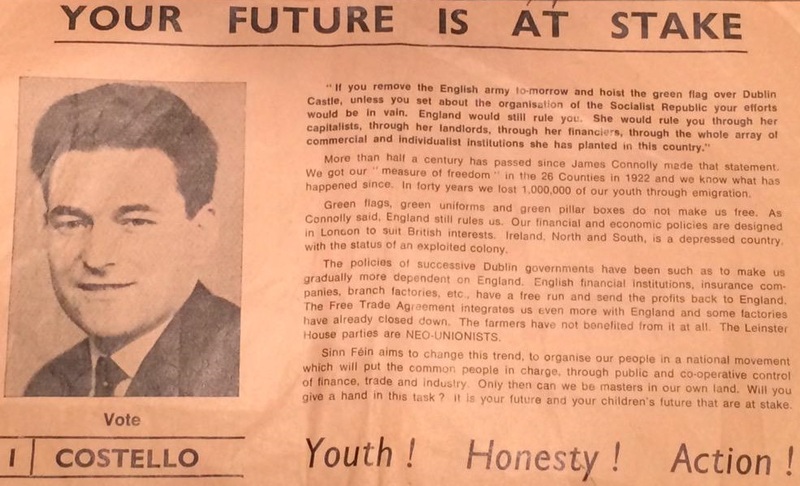 A leaflet from former Fianna Fail and Independent TD Joe Behan who is running as an Independent in Bray for a seat on Wicklow County Council. A leaflet from Pat Vance who is running for Fianna Fail in Bray for a seat on Wicklow County Council.